It has been awhile since we last mentioned our Fort Worth design project. We have written several blog posts about this particular project including posts about the progress, Georgian style architecture, and the finished “Family Friendly Media Room.” We have been unable to share the completed project on our blog because we were waiting for its editorial debut and now the wait is finally over! 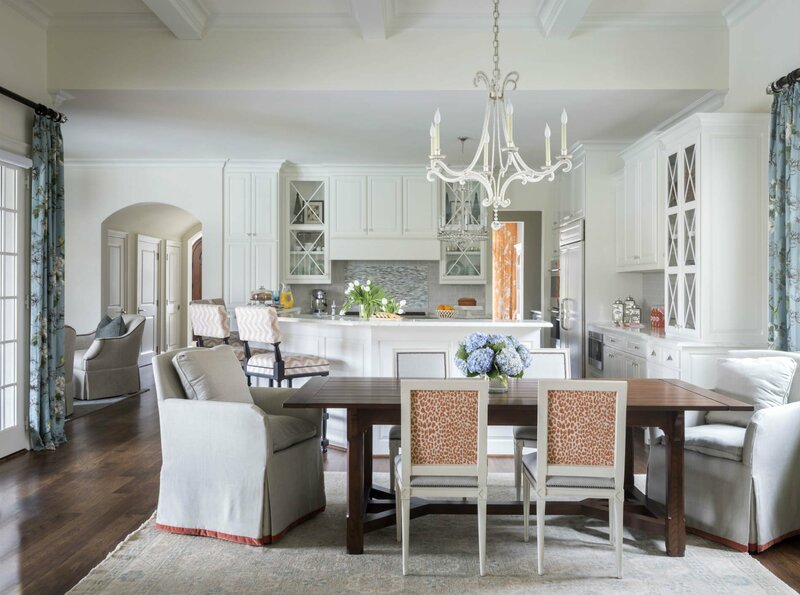 This project is featured in the summer issue of Southern Home magazine. 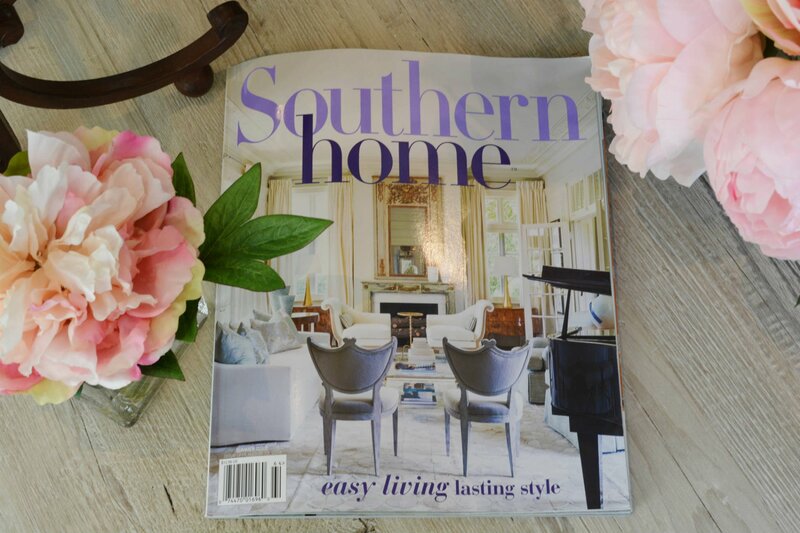 Founded in 2015, Southern Home showcases some of the South’s finest and most inviting homes. This charming home in a historical neighborhood in Fort Worth seemed to be the perfect fit for this publication. 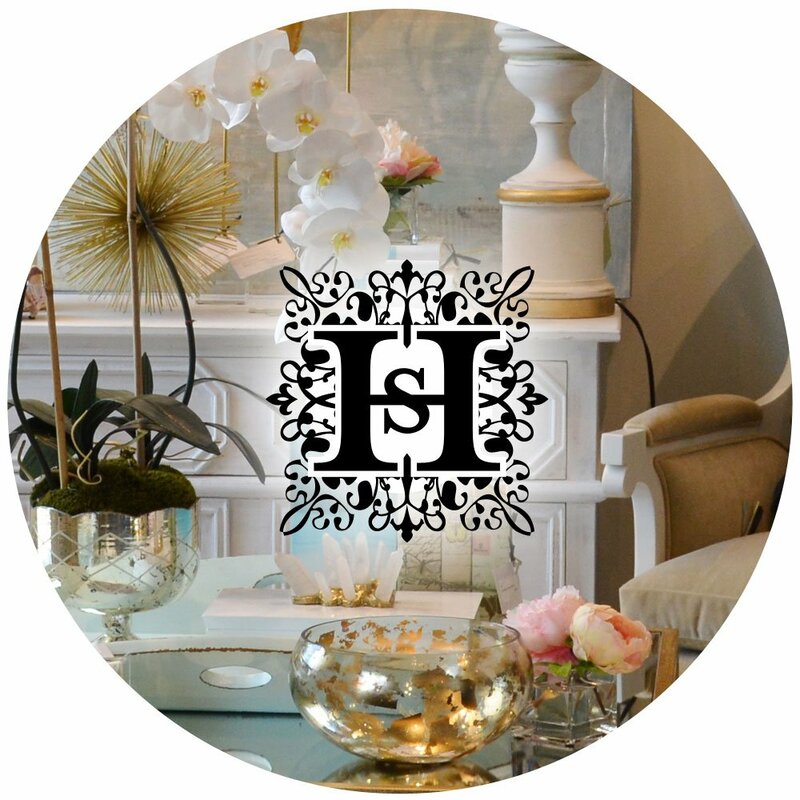 Southern Home tastefully showcases beautiful homes and captures the “heart” and artistic vision behind the projects featured. This issue is on newstands May 17th and it includes a number of beautiful homes through-out. We hope you enjoy the lovely pictures of this charming home. Exterior: The old home on this site was meant to be remodeled, but due to a crack in the foundation it had to be torn down. Even with a fresh new build, this house looks like it has been in the neighborhood for decades. 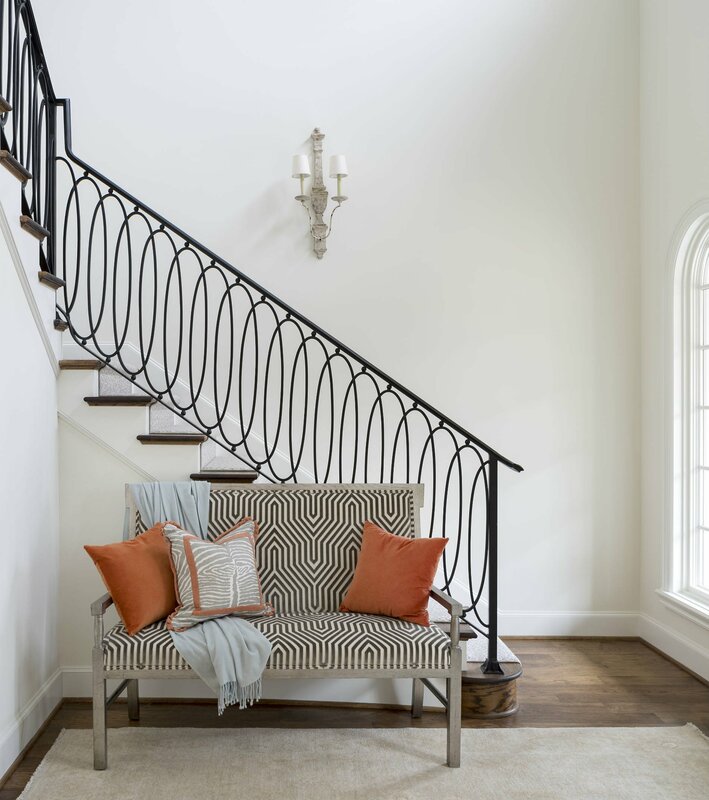 Entry: Less is more in this elegant entry area with custom stair railing and furniture. 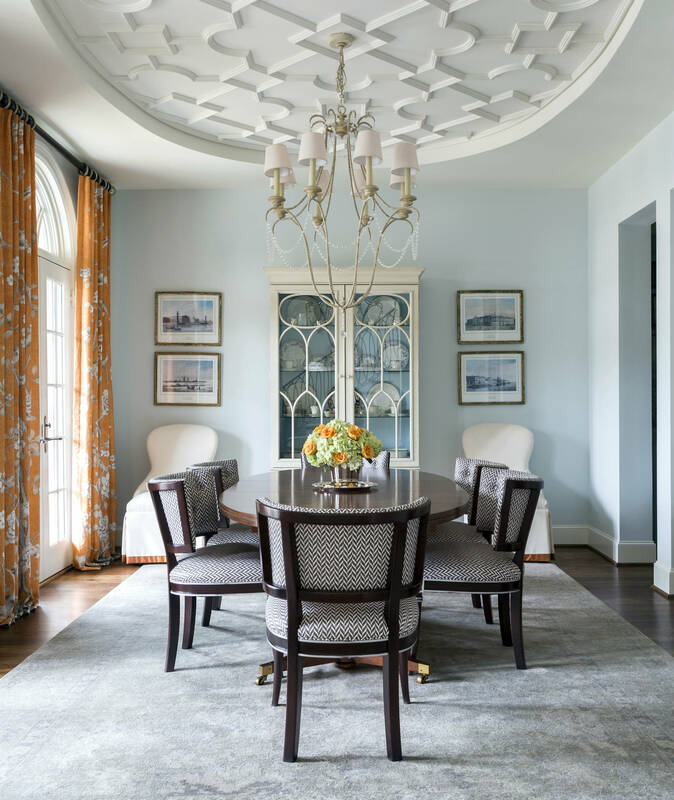 Dining Room: The ceiling is the focal point in this room, but overall it is casually elegant and meant to be welcoming and happy. Library Room: Just off the kitchen, this ‘keeping room’ is a great place to chat with the cook or look out to the pool. 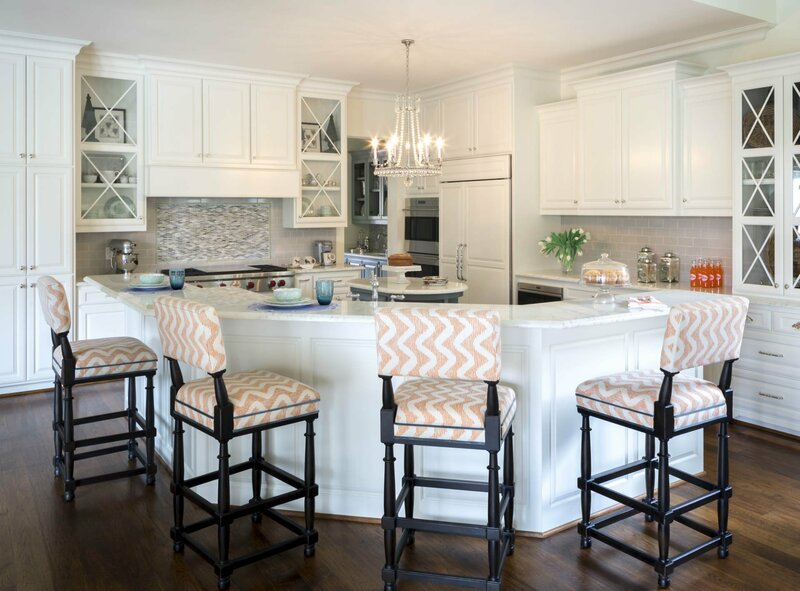 Kitchen: A timeless design with Alabaster white cabinets and Danby marble. Breakfast Room: Sunbrella fabric? Check. Comfy chairs? Check. A little animal print (notice a theme)? Check. 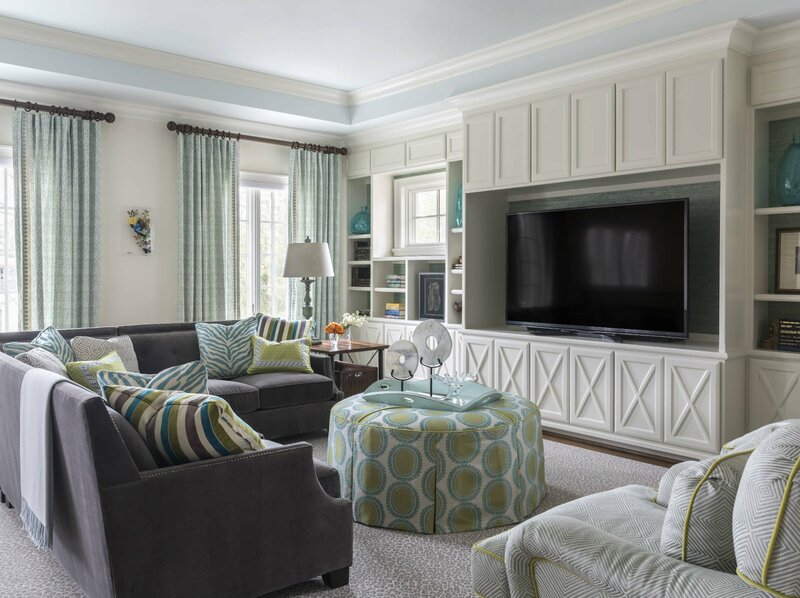 Family Room: In case you haven’t realized it yet, we love symmetry! 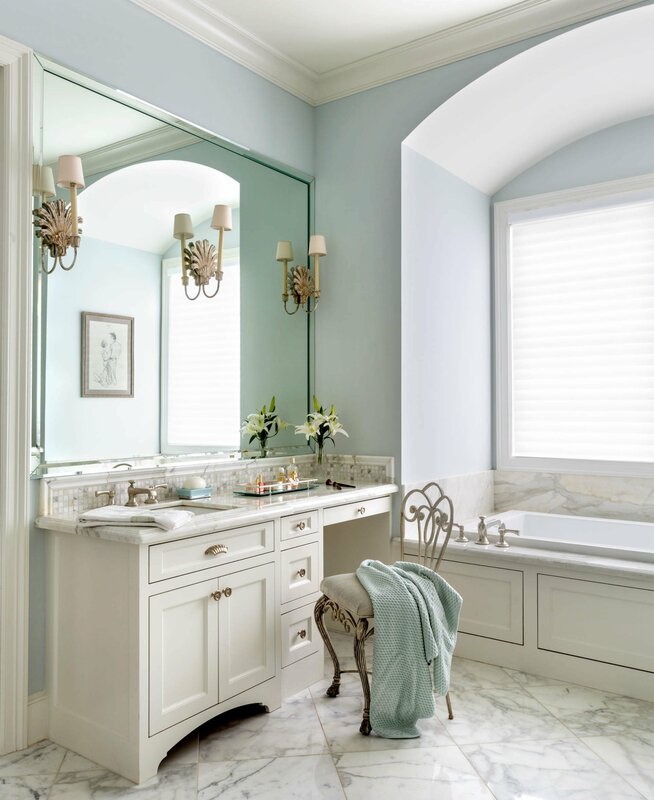 Powder Bathroom: The perfect place to add some more ‘happy’ to a home. 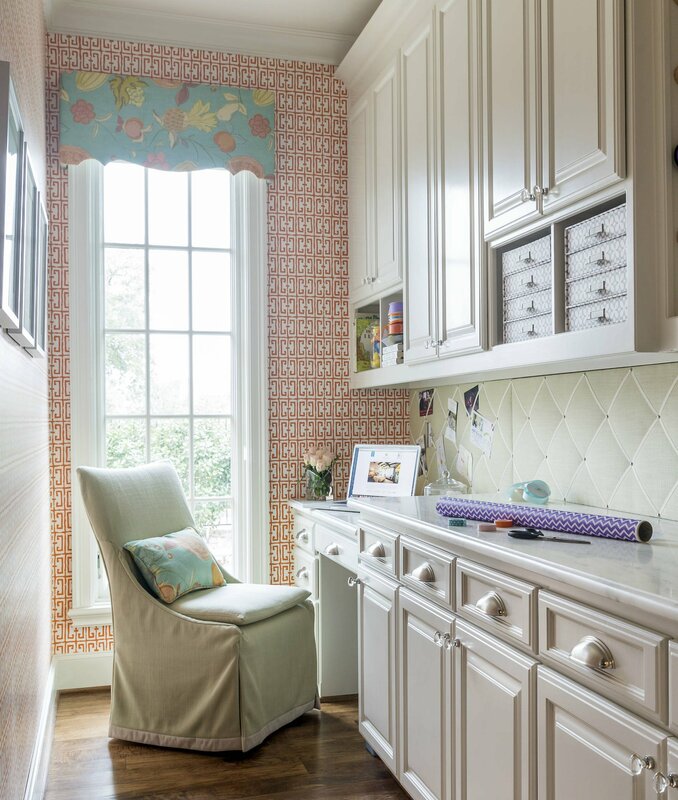 Planning Room: We wish we all had a little ‘keep me organized’ room like this in our house; sigh. 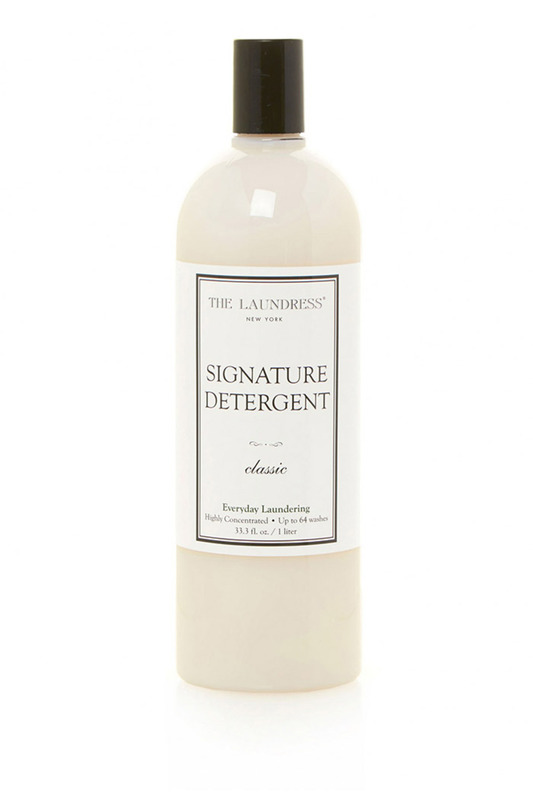 Laundry Room: Who says your laundry room should be dull and drab? Not our client! Master Bedroom: Peaceful, dreamy, calming. 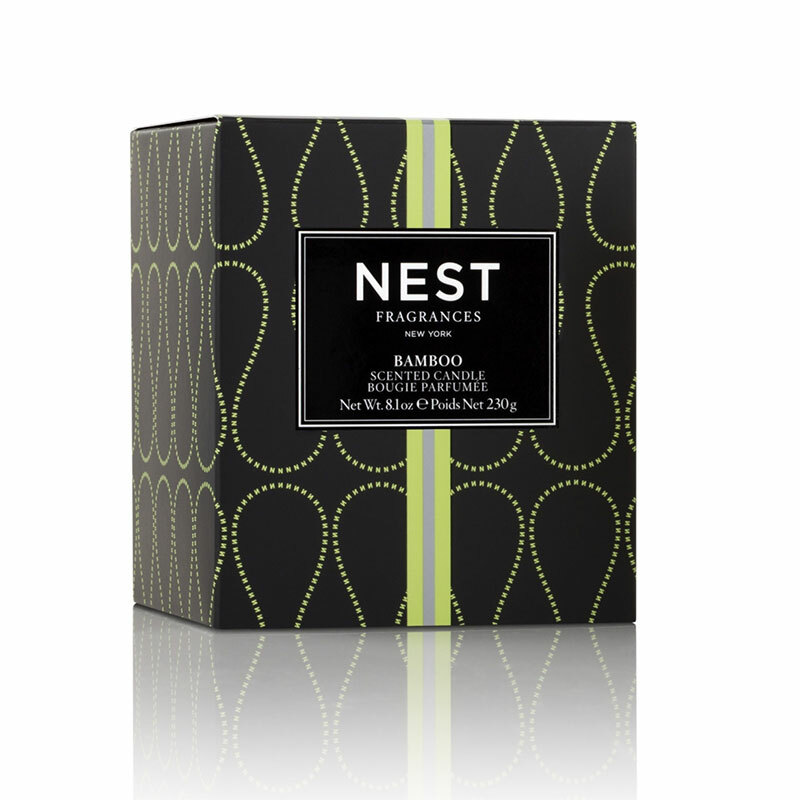 Perfect for a good night’s rest. 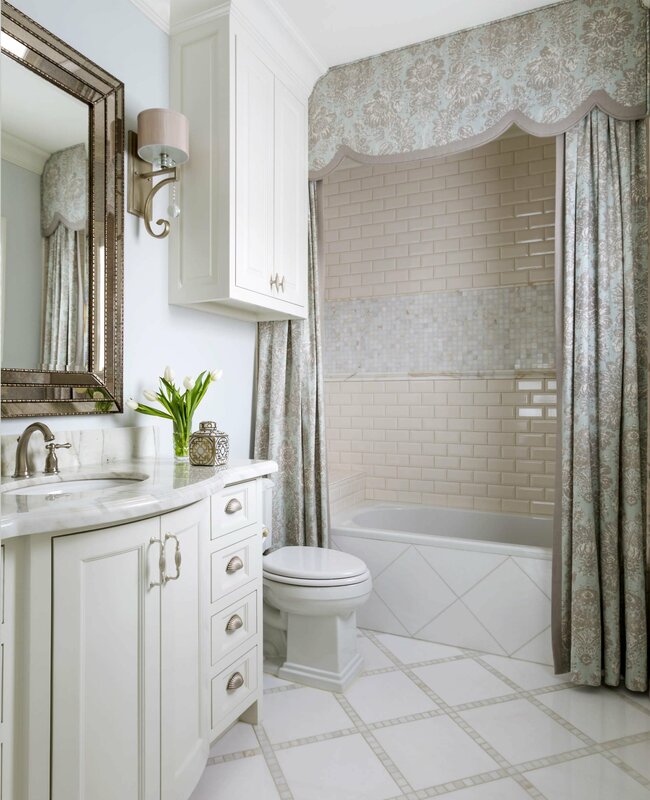 Master Bathroom: A little Calacutta marble never hurts! Media Room: A fun place for the whole family to watch TCU games! Guest Bathroom: Let us just say: ‘pretty’. This is one of four that are just as ‘pretty’. 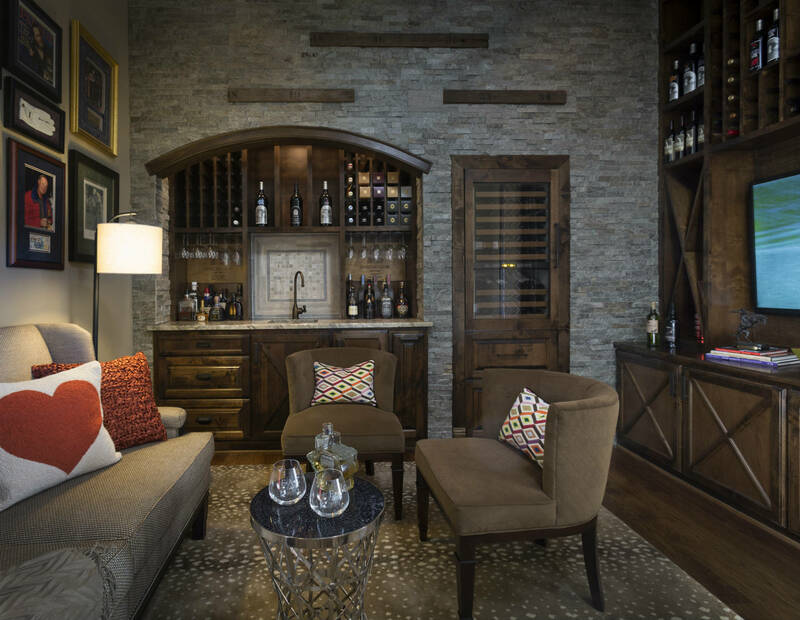 Wine Room: Or should we say “Man Cave’? You get it. The perfect place to watch some golf, drink some wine and ponder how lovely life can be when surround with friends and family. 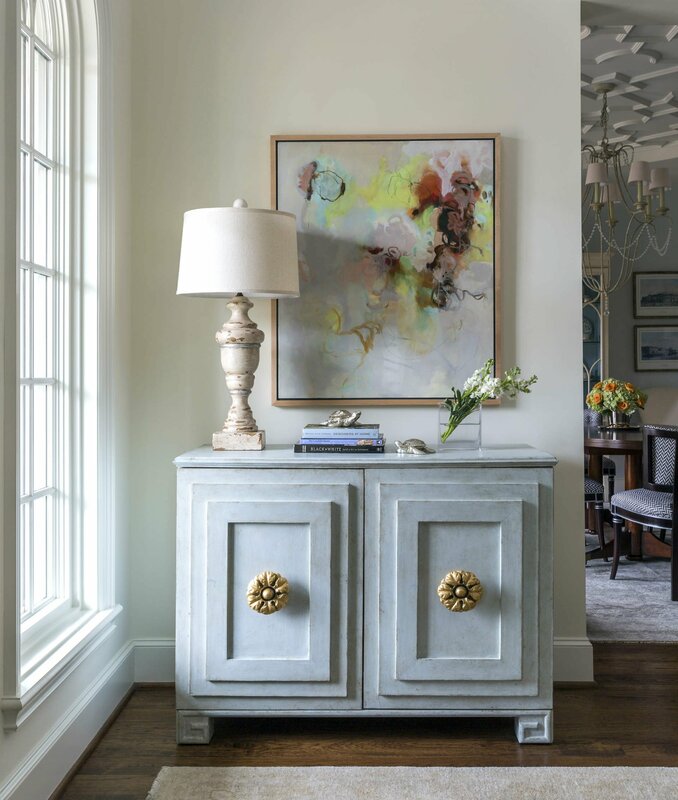 This home is an example of classic beauty with great bones, timeless pieces, and stylish pops of color. The homeowners personalities speak through every room. You can see even more photos of this project by viewing our portfolio. Be sure to read the beautifully written article once it hits newsstands on May 17th. You can also purchase a copy for yourself here. It was a pleasure to work with everyone involved in this project, especially the homeowners. 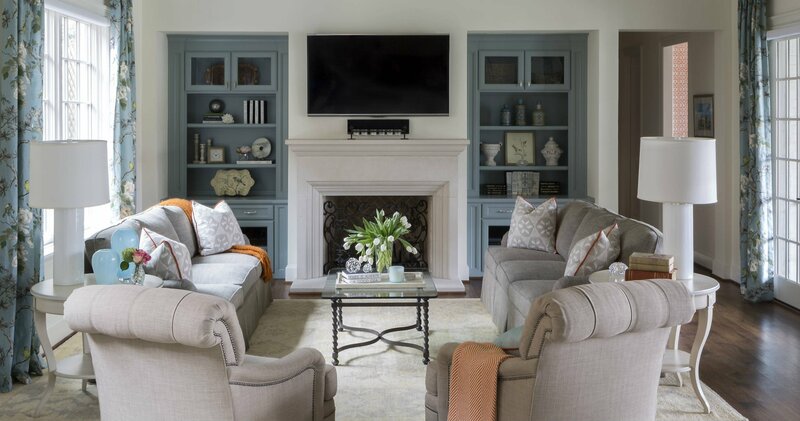 If you are interested in how our team can help you create the home of your dreams and reflects your own personality, visit our website and fill out our questionnaire. We would also like to wish a Happy Mother’s Day to everyone! Love all the fabulous window treatments! Every one of these rooms are stunning! Thank you so much! They were a lot of fun to select and design! Hello! I love the light fixture in the room off of the kitchen. The drum/cage fixture. 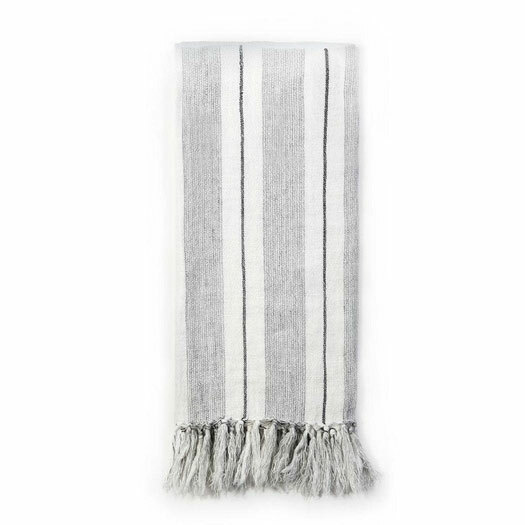 Can you share where I can find one like it? I have looked everywhere! Thank you! Hi Andrea! You can order the light through our store. It is $840 and the dimensions are 20.5 W x 35.75 H. Please email us at info@heatherscotthome.com if you would like more information! Hi Paige. Thank you! Glad you enjoyed it! The 2 seater lounge can be ordered through our retail store. We can ship anywhere. You can call us at 512-342-6899 or email us at info@heatherscotthome.com for more information. What type of floors and stain color did you use? Hi Jason. Thank you for your inquiry. We will look at our notes and get back to you with the type of wood floors used. Hi Jason, we looked over our notes and it is a real wood flooring with a dark stain. Thank you for reaching out! Hello- I absolutely love this house. 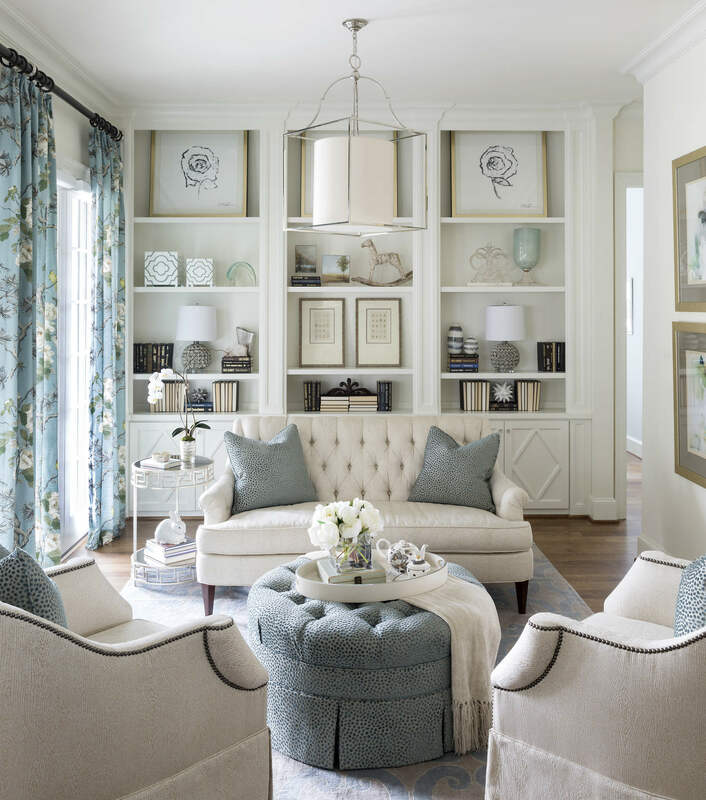 Im interested in the 2 seater tufted settee in the library as well as the light blue credenza with the gold magnolia handles. Where did you order those from? Hi Jen! We are so glad you enjoyed this project! We are more than happy to provide you pricing, dimensions, and pictures of those items. We can special order anything as long as it is in stock. We will have to check the availability on the credenza as it may be discontinued. Feel free to email us at info@heatherscotthome.com for more information! I LOVE the leopard wall paper in the bathroom!!! Can you tell me the name? I am a designer and I must have it for my next project!!! Hi Lori! It is fabulous. 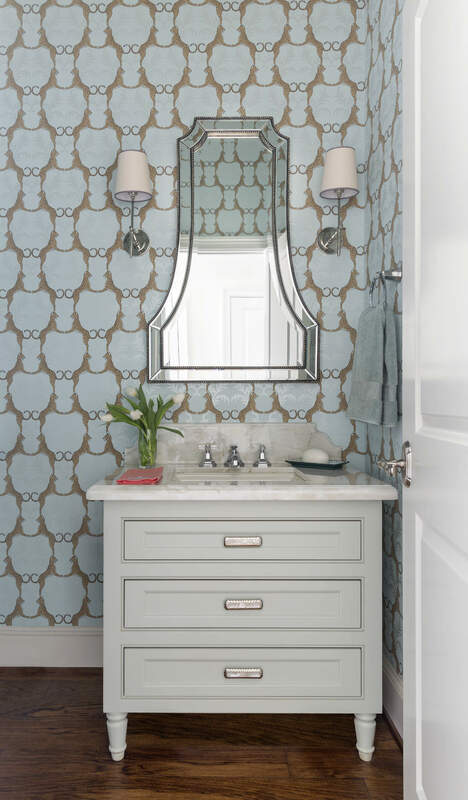 It is Thibaut Cheetah Wallpaper in Aqua. Let me know if you have any other questions! I LOVE the little cream couch in the library room. 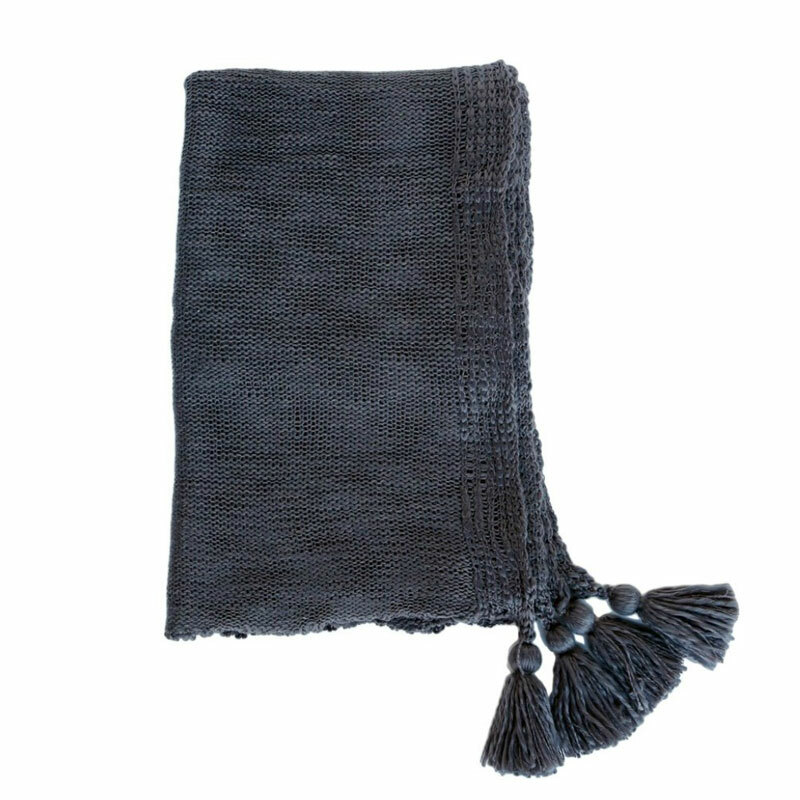 Can you share the name and where it’s from? Thanks so much! This entire house is stunning! Hi Julie! Thank you for your kind words. We have emailed you information on the sofa. Lovely laundry room. What is its dimensions? Thank you! Hi Frieda, glad you love it! We will work on finding the dimensions of this room and send that to you. Media room sectional ? WOW, were can I find it ? Hi Jackie, thank you for reaching out! We are more than happy to provide you with more information on the sectional. We will work on emailing that now! Hi Tana, you can special order it from our retail store! We will work on sending you more information via email! Love the library room furniture. please send more info. Hi Dinah, we are happy you love it! We are working on sending you an email regarding this space. What is the name and brand of the wallpaper in the laundry room? Thank you! Hi Rachael! This wallpaper is Stroheim ‘Fret Orange’. Hope that helps! I think that’s the name of the wallpaper in the planning room. 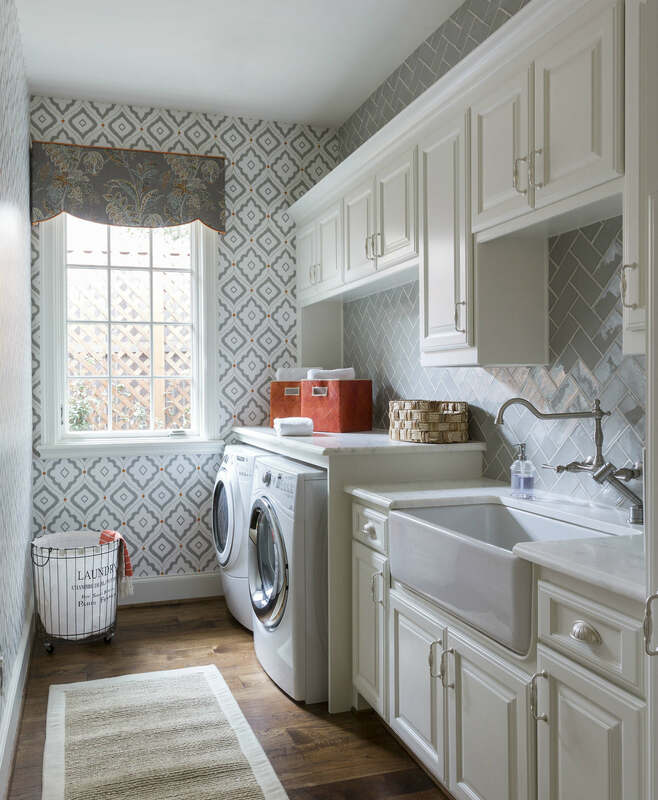 What’s the name of the gray wallpaper in the laundry room please? Thanks! Could you please share what hardwood floors those are and what color? Beautiful home! Thank you! It is a real wood flooring with a dark stain. I hope this helps! We do sell the mirror. It is 26 W x 40 H and sells for $489.99. We can order the mirror for you! It is 26 W x 40 H and sells for $489.99. What’s the skin vanity in the laundry room called? Hi Ashley did you mean the sink? It is called a farmhouse sink! Hope that helps! Yes . what about the whole cabinet and countertop?We are adding a sink in the laundry room and i love the whole sink and vanity set up you have. Hi Ashley, it was a custom cabinet design and the countertop is Calacutta Gold marble. So glad you love it! I have been following your blog for years, and this house is my absolute favorite! Could you tell me the dimensions of the oval island and the paint color? I have been following your blog for years, and this my absolute favorite house! Could you tell me the dimensions of the oval island and the paint color? Hi Sherrie! Thanks so much! We can’t find the dimensions in our notes, but the paint color is Gibraltar Cliffs by Benjamin Moore. I hope that helps!